Statistics Now on site 15 persons. ATTENTION! 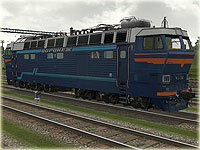 FOR CORRECT USING OF THIS LOCOMOTIVE YOU NEED TO DOWNLOAD CABVIEW AND SOUNDS FOR IT! 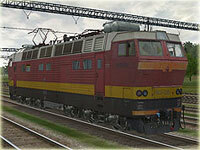 Also download and install the MSTSBin patch version 1.7.051922 or later from MSTSBin.UKTrainSim.com. 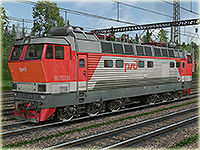 ARE OBLIGATORY AT USE OF ELECTRIC LOCOMOTIVE CHS4t! ATTENTION!!! 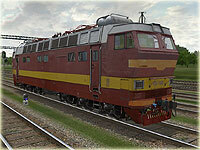 For work in cabin the train radiostation is necessary for loading Soundpack of train radiostation #001. To save space on your hard drive is recommended before installing this package to remove the previous version of it. 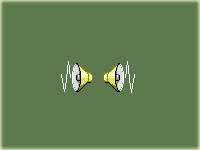 This can be done using uninstaller Uninstall_R_CHS4t_sounds_v1.0.exe located in MSTS folder. 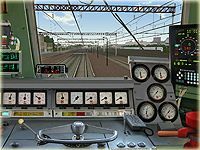 Cab animated and has automatically switched the day and night views. 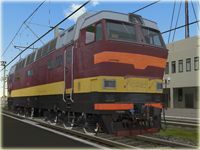 For correct work of add-on, you need to download and install the MSTSBin patch version 1.7.051922 or later from MSTSBin.UKTrainSim.com.